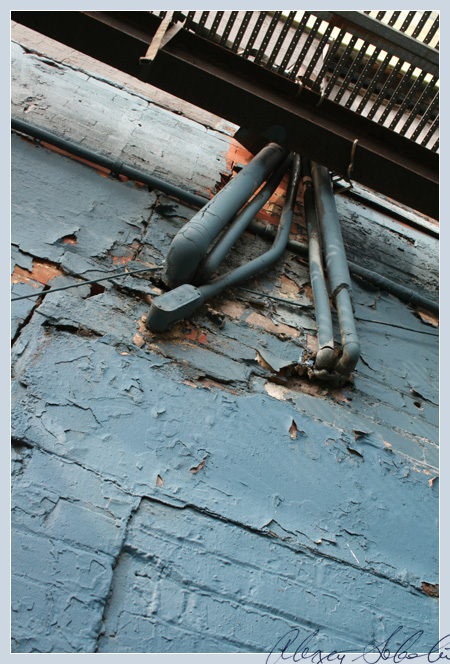 Urban Aesthete | Abstract Photography and Futurist Narrative » Blog Archive » Series: Ancient Blues-1. Sixty Four: Vectors. Series: Ancient Blues-2. 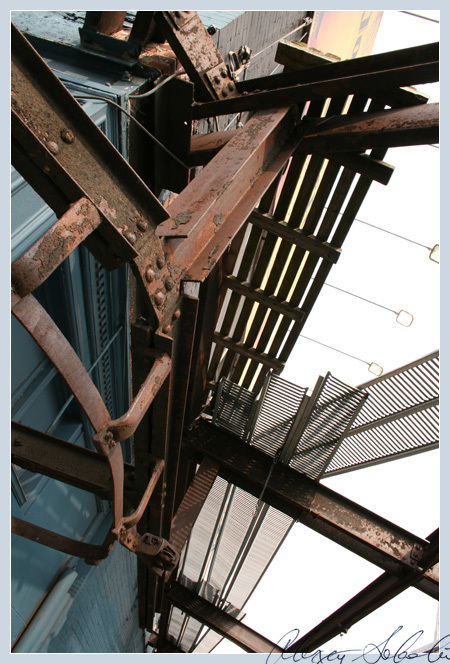 The rusted metal grips the teal walls, clamps them down and spreads like a parasite. Age is inescapable. The scars are permanent. Nobody will rebuild this place. Nobody will paint it anew. The only path to freedom is disintegration.